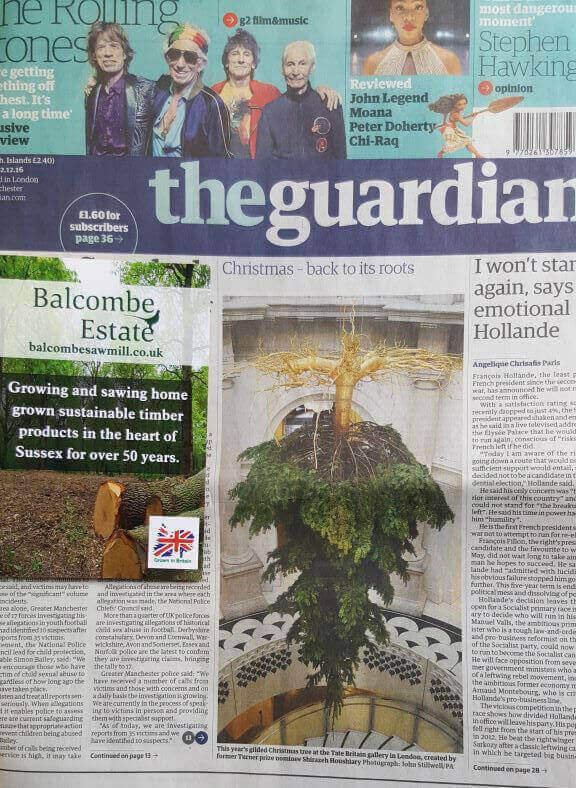 We are delighted to have supplied the Tate Britain Christmas Tree this year which has made it to the front page of the Guardian! 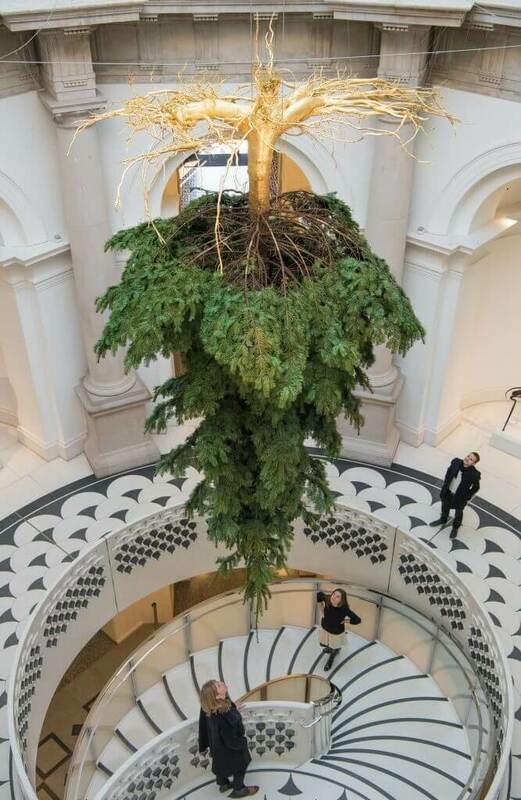 From our Balcombe Estate Forest in Sussex, Iranian artist Shirazeh Houshiary created the piece the “Upside-Down Christmas Tree”. The roots of the tree were kept intact and have been transformed into a gold plated feature. 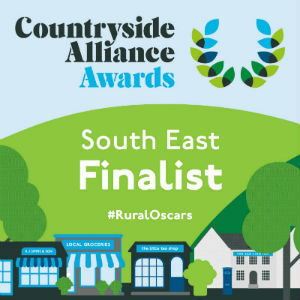 Thanks to Houshiary who recongizes that “the roots are the source of its continued stability, nourishment and longevity” which we at Balcombe Sawmill are proud to deliver. 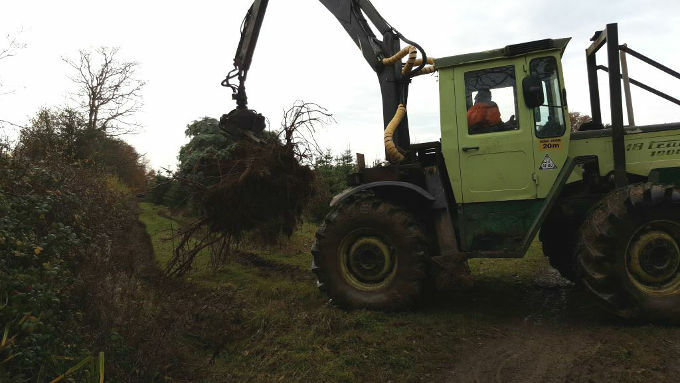 Here are a few images of the tree being cut from our forest, on it’s journey to the Tate Britain and then to the front page of the Guardian. 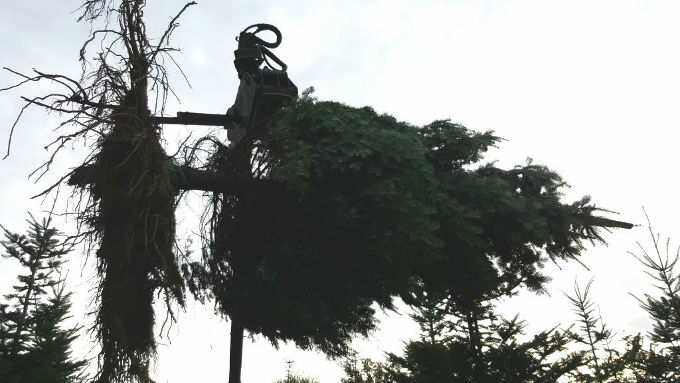 Contact us to request your Christmas Tree.